Happy March! My birthday month :) And as you may have noticed in the title of this post..I am already thinking about summer and the Fourth of July! After quite a while of not knowing for sure where Trent and I are going on vacation this year, we finally decided last week what we we're doing. 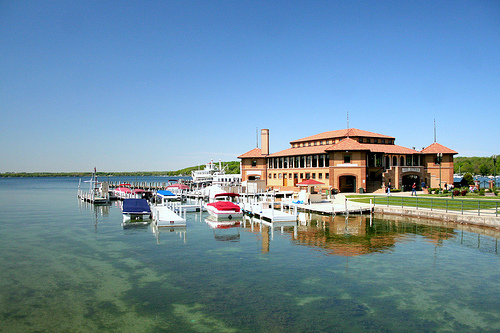 Fourth of July weekend, we're headed up to Lake Geneva, Wisconsin! Why Lake Geneva? Well last year we had our big East Coast vacation, so this year we wanted to go somewhere closer and not do anything too big or expensive. After all, we're kinda hoping to get the foundation fixed this summer, which will not be cheap! We decided to go to Wisconsin, because 1) We're in Northwestern Illinois so it's not too far away (A little over 3 hours maybe), and 2) Dave Matthews Band just released their summer tour. 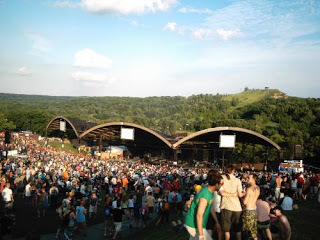 We are of course big DMB fans and we've never seen them at Alpine Valley - where they're playing July 5th and 6th. So...count us in!! That's our vacation! Trent has a cousin who lives in Lake Geneva so we are planning to drive up there the morning of July 4th and do fireworks with them. Then the Dave concert the next two days! So excited. The next day we have some time to hang out in Lake Geneva and then will drive back that night. A short little trip so hopefully we'll be able to take another short one later in the year (maybe to Galena or Dubuque?). We've both been to Lake Geneva before, but haven't done too much exploring. I'm hoping we can relax on a beach one day and Trent is hoping to rent kayaks! The planning has officially begun..it shouldn't be as intense as the planning for last year's...That was a huge 10 day vacation. But it should definitely be a fun holiday weekend!